Harp's in-stock rotisserie chicken guarantee promises rotisserie chicken at your local Harp's Deli from 4-7pm, daily - or the next one's free. Take a break from the kitchen and spend more time doing the things you love, with the people you love. We have timesaving rotisserie chicken, no-cook and light-prep recipes for you and your family. 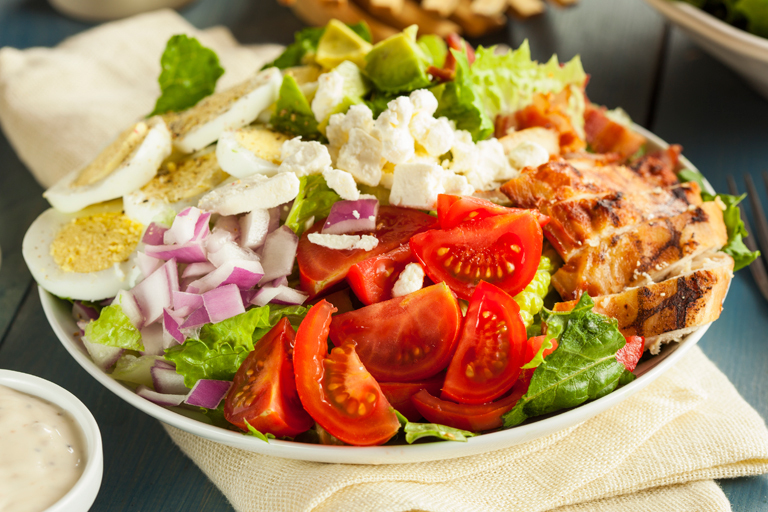 Delicious and easy Cobb salad recipe featuring rotisserie chicken, lettuce, tomato, choice of cheese, boiled eggs, avocado and Hidden Valley Ranch® dressing. Dice lettuce, tomato, boiled eggs and avocado. Cube or shred cheese. On a bed of lettuce, place horizontal rows of rotisserie chicken, diced ingredients and cheese. Drizzle Hidden Valley Ranch® The Original Ranch® dressing and serve. Shred rotisserie chicken and cook pasta according to directions. Toss Alfredo sauce, peas and bacon; heat until warm. Click here to get recipe. 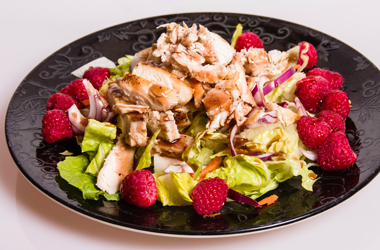 Try this easy rotisserie chicken salad recipe with a twist of sweet raspberries, feta, green onion and almonds. Sure to please tired taste buds! 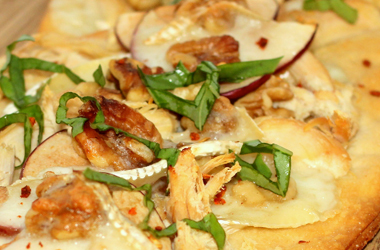 Rotisserie chicken, creamy Brie cheese, sliced apples and toasted walnuts on a crispy flatbread. 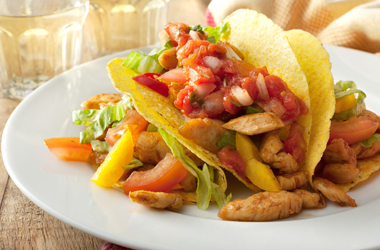 This recipe is sure to be a mealtime favorite! 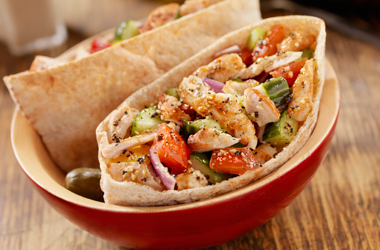 A quick lunch recipe featuring a tasty barbecue rotisserie chicken salad in a pita pocket for a delicious meal on the go. 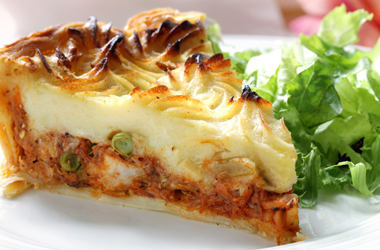 This classic Shepherd's Pie has a tasty chicken twist. 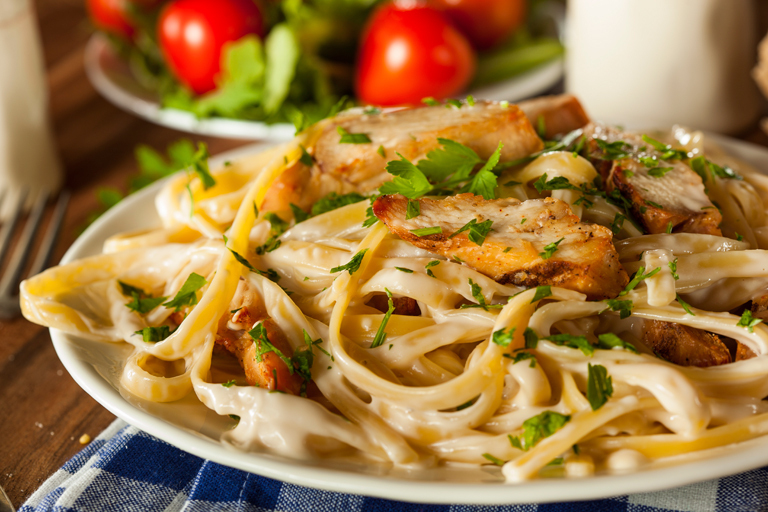 This recipe is always a family favorite and can be ready in no time with help from the deli. 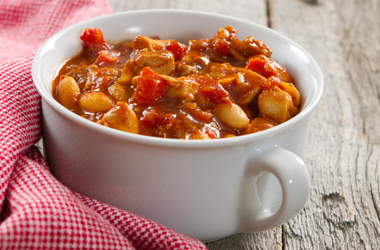 A hearty casserole recipe with big, gourmet taste that's ready in no time. Combine rotisserie chicken, rosemary, tomato and rice. 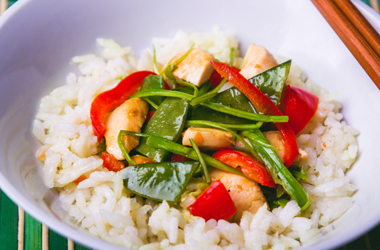 This is a quick and easy recipe with little cook time. 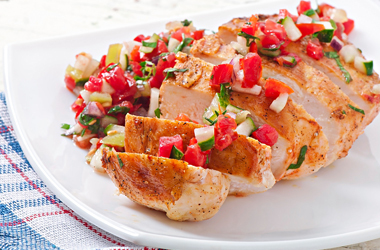 Combine rotisserie chicken, fresh salsa, rice and top with avocado. Great for game time. Easy and tastes good too! 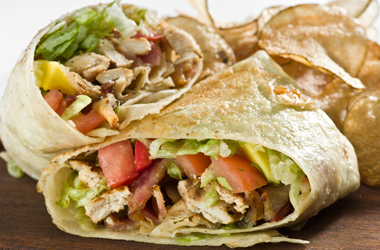 Rotisserie chicken, chili powder, onions and tomatoes create this hearty recipe.